*Prophecies of Chaos: A Political Thriller (Book 2 of The Nomad Series) by David Lee Corley. Price: Free. Genre: Nonfiction, Travel. Rated: 5 stars on 4 Reviews. 227 pages. ASIN: B07CF76LBX. Traveling: The Cheapest Way To Travel And Make Your Vacation A Great One (Solo Travel Book 2) by John Eastman. Price: Free. Genre: Nonfiction, Travel, Specialty Travel, Budget Travel. Rated: 4.5 stars on 6 Reviews. 74 pages. ASIN: B07DPQ4DN7. Posted on July 1, 2018 Author KibetCategories Budget, Free Travel Kindle Books, TravelersLeave a comment on Kindle Travel Deals for Sunday! *Speechless In Spain: Learning Spanish in Madrid and the Lessons I Learned (Deal, Not Free) by Mercedes Luna. Price: $7.99. Genre: Non Fiction Deal, Sponsor,Travel Memoirs, Living in Madrid. Rated: 5 stars on 7 Reviews. 156 pages. ASIN: B075PR5LWB. *Man & Horse: The Long Ride Across America (Deal, Not Free) by John Egenes. Price: $0.99. Genre: Biographies & Memoirs Deal, Sponsor, Travel Memoirs, Journey across South America, Non Fiction. Rated: 4.8 stars on 25 Reviews. 291 pages. ASIN: B075821TZ7. *Double Dutch: Eels, Sinterklaas, Lekker Frisjes and all that stuff by Denise A Nisbet. Price: Free. Genre: Biographies & Memoirs, Travel. Rated: 5 stars on 4 Reviews. 41 pages. ASIN: B076RQJJD7. *Super Cheap Japan: Budget Travel in Tokyo, Kyoto, Osaka, Nara, Hiroshima and Surrounding Areas by Matthew Baxter. Price: Free. Genre: Nonfiction, Travel, Specialty Travel, Budget Travel. Rated: 5 stars on 5 Reviews. 286 pages. ASIN: B0755TM4HM. Posted on November 4, 2017 Author KibetCategories Biographies, Budget, Free Travel Kindle Books, memoir, TravelersLeave a comment on Kindle Travel Deals for Friday! 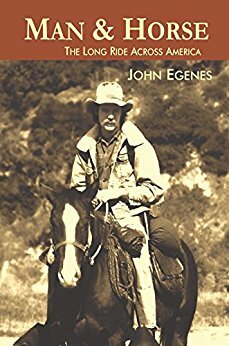 *Man & Horse: The Long Ride Across America (Deal, Not Free) by John Egenes. Price: $0.99. Genre: Biographies & Memoirs Deal, Sponsor, Non Fiction, Adventure & Explorers, Author’s Travel Memoirs. Rated: 4.8 stars on 25 Reviews. 291 pages. ASIN: B075821TZ7. *Bali: Bali Travel Guide: 101 Coolest Things to Do in Bali (Backpacking Bali, Budget Travel Bali, Southeast Asia Travel Guide, Indonesia Travel Guide, Lombok) by 101 Coolest Things. Price: Free. Genre: Nonfiction, Travel, Specialty Travel, Budget Travel. Rated: 5 stars on 8 Reviews. 42 pages. ASIN: B076MLB5MT. 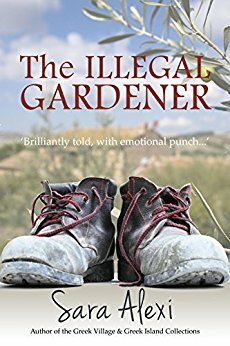 Posted on November 1, 2017 Author KibetCategories Biographies, Budget, Free Travel Kindle Books, memoir, TravelersLeave a comment on Kindle Travel Deals for Wednesday!